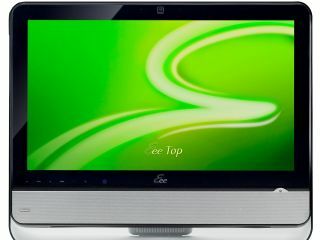 Following on from its CES-announcement of the first Eee Top, the new ET20/22 model also boasts an HD display, SRS Premium Sound and an integrated webcam as well as other premium specs. The Blu-ray drive is slot-loading, much like the DVD drive on the existing model. The company has also announced a new Skype videophone - the Touch SV1T – A 7-inch touch screen display for users to make Skype video calls without the need for a PC. No release dates have been announced for the UK. Other details have yet been formally announced, but we've asked Asus and we'll update when we get them.